It was an extremely dorky moment of excitement for me when, staying in Haworth, England I visited the parsonage where the Brontë family lived. It was an interesting little museum house, which contained a number of Brontë 'artefacts' including the sofa where Emily Brontë supposedly died. It was in the gift shop where I found a copy of a biography of Charlotte Brontë, which was in fact written by her friend Elizabeth Gaskell. 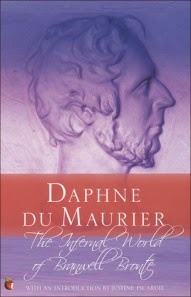 I didn't know that this existed, but it immediately appealed to me -- a biography of one of my favourite authors, by another favourite author. Fully expecting that this would be a somewhat dry account of her life, I was delighted to find that it is an incredibly readable biography, and is still considered to be one of the most authoritative works about Charlotte Brontë's life. I particularly enjoyed reading about the lives of the Brontës when they were young, because they were extremely interesting and creative children. All four of the Brontë children (Patrick Branwell, Charlotte, Emily & Anne) wrote collaboratively about a fantasy world called Gondal, for which they created histories, characters and legends. Throughout their years living at home and as governesses, Charlotte and her sisters continued to write prolifically, usually editing each others' writing, and staying up late at night discussing their works and plans for the future. In spite of many setbacks, including the deaths of all of her siblings, Charlotte persevered in her writing, eventually becoming one of the best known writers of the English literary canon. 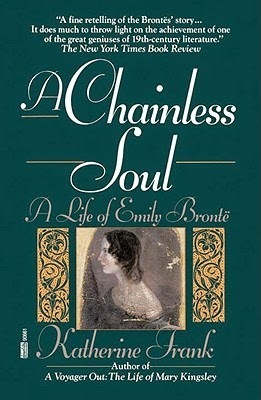 Written in her characteristically descriptive style, Gaskell manages to show her fondness for the Brontës (Charlotte in particular), as well as looking at them with a critical eye. 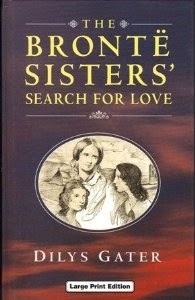 It is by no means a short book, but for those who love the Brontës (and perhaps Elizabeth Gaskell as well), it is a fascinating insight into their lives and motivations for writing their well-loved classics including Jane Eyre, Agnes Grey, Wuthering Heights, Villette, and The Tenant of Wildfell Hall.